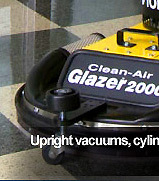 The Tornado Taskforce 1200 vacuum is the entry level unit in the 1200/1700 series. Packed with many built-in features, the unit is compact, value priced and durable. Both units feature two rear mounted anti slip wheels with front casters, and are built to be stackable to accomodate small broom or utility closet restrictions. The Taskforce vacs will handle simultaneous wet and dry recovery without the need to change filters. The special filter media is designed to be washed and reused over and over again. The powerful vacuum motor has been thoughtfully designed into a sound reducing housing to allow operation where noise is an issue. The units have become popular with schools, health care facilities, offices and the rental industry where it s smart features and quiet operation excel. 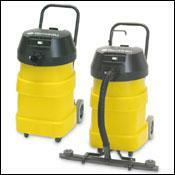 The Taskforce 1700 is a 17 gallon unit that can also be ordered with a front mounted squeegee assembly. The machines come complete with hose and standard contractor style tool set. Disposable paper collection bags (90701) and reusable cloth filter bag (19816) lead the list of optional items to tailor the machine to your particular environment.